One of the most popular Android device Samsung Galaxy Note 2 (GT-N7100) model – international variant has received the latest Android 4.3 Jelly Bean update N7100XXUENB2. Unfortunately, for the moment only Galaxy Note 2 users from Thailand can download and install the new firmware via OTA (Over the Air) or by using the official Samsung KIES application. The new update is pushed out in phases, and that means it needs some time when it will be used for all customers.. This step by step guide is especially provided for all users who want to use a manual method to install the new Android 4.3 N7100XXUENB2 Jelly Bean for Samsung Galaxy Note 2 (GT-N7100) model. The new update provides more stability and security for your device, it comes with numerous new features such as Galaxy S4 like lockscreen, Tabbed UI in Settings, New Samsung keyboard, Smoother TouchWiz, New S-Voice from Samsung Galaxy S4 and more. Remember that this present new firmware is unofficial one and it can be used and installed on Samsung Galaxy Note 2 GT-N7100 model. This guide is provided for educational purpose and we, at the Android Source team cannot be held liable or responsible for any data lost or damage to your device if you decide to apply this guide. Use this step by step guide on your own risk only. Download and install the suitable USB Drivers for Samsung Galaxy Note 2 GT-N7100 device on the PC. Ensure that the USB Debugging Mode is enabled on the device: Settings>Developer Options. This guide works for factory unlocked devices (not locked to any specific carrier). Ensure that the Samsung Galaxy Note 2 device’s battery has more that 85 % power left. The new Android 4.3 Jelly Bean (N7100XXUENB2) OS works and is compatible with Samsung Galaxy Note 2 (GT-N7100) model only. Do not flash this firmware for any other incorrect variants or devices as it may damage your device. The model number can be found by navigating on the Galaxy Note menu via Settings>About Phone. How to install official 4.3 N7100XXUENB2 Jelly Bean on Galaxy Note 2 device. 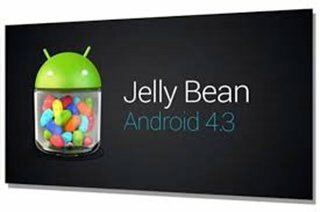 Download Android 4.3 Jelly Bean official firmware (N7100XXUENB2) or Here and save it in your PC. Now, download Odin v3.09 from here and save it in your PC. Extract the downloaded Android 4.3 firmware zip file by using 7-Zip app to get a .tar.md5 file and some other additional files. Extract ODIN zip file to get Odin3 v3.09.exe and some other additional files. Power off the Samsung Galaxy Note 2 device completely. Boot the device into Download Mode (Press Volume Down, Home and Power buttons simultaneous until an Android robot draw together with a warning triangle will be displayed on the device’s screen and then press Volume UP button to enter in Download Mode). Open ODIN application as an Administrator on your PC. Now, connect the Samsung Galaxy Note 2 to the PC by using the USB cable while the device is in Download Mode. Wait until the ODIN application detects the Note 2 device and will show you the “Added” message on the screen and the ID:COM bow will return a light blue color together with the COM port number. Note: if the “Added” message rejects to be displayed then you need to reinstall the USB drivers once again. Next, in ODIN application click on AP button and browse and pick up the firmware file N7100XXDLJ5_N7100ODDDLI7_INU.tar.md5. Important: In ODIN select the Auto Reboot and F. Reset Time checkboxes and leave the Re-Partition option unchecked. Verify once again all the steps and when are done correct move to the next step. Now, wait for firmware installation process to be done, and the “PASS” message with green background is displayed in ODIN application’s interface. Samsung Galaxy Note 2 device will take a reboot, and the Home screen will appear. Disconnect the device from the PC by removing the USB cable from the computer. These where all the steps to install the new official N7100XXUENB2 Android 4.3 Jelly Bean firmware on Samsung Galaxy Note 2 device. Verify the new firmware version from Settings>About Phone on the Note 2 device.